480-456-8888 | Check Out How Our Team Can Care For Your Lawn TOTDAY! A Beautiful, Healthy, And Water-Efficient Lawn Takes Precise Lawn Care Service. To Maintain This High Degree Of Turfgrass In Any Climate, An Experienced Professional Lawn Maintenance Company Is One Of The Most Essential Components. 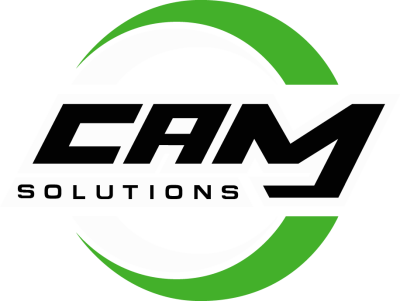 At CAM Solutions, We Can Assure Our Clients That Our Lawn Maintenance Company Landscape And Irrigation Experts Know How To Properly Care For Area Turfgrass During Moderate To Hot Summers And Cooler To Cold Winters As Well As Every Climate Change In Between For The Best In Lawn Care Service. As Our Experienced Landscapers Know, Proper Mowing Techniques And Irrigation Of Turfgrass Are Essential For Proper Lawn Maintenance. Our Lawn Maintenance Company Professionals Can Assure Proper Mowing Techniques Along With Proper Irrigation And Fertilization To Keep Your Lawn Healthy. With Our Professional Lawn Care Service, It Is Our Standard Practice To Assure That All Lawn Maintenance Areas That We Control Are Properly Edged And Mowed. Our Landscape Experts Will Adjust The Mowing Height Of Turfgrass In The Area Depending On The Individual Turfgrass Species On The Property. Our Lawn Maintenance Company Also Uses The Common Rule In Lawn Care Service, That Of The One-Third Rule Which Is To Never Cut More Than One-Third Of The Grass Blade During Any One Mowing. It Should Be Noted That Turfgrasses Are Similar To Most Plant Species In That When The Growing Points (Known As The Crown Of The Grass) Are Cut With Sharp Mowing Blades, Turfgrass Will Become More Dense. Proper Lawn Care Service Ensures Trimming Of The Grass Crown At Proper Lengths, Which Turns Individual Grass Plants Into The Desired Tightly Woven Turfgrass Area. In Lawn Maintenance Areas, CAM Solutions Expertise Is To Use Mulching Mowers To Recycle Clippings Back Into The Turfgrass To Help Limit Future Fertilization Needs And Reduce Irrigation Time. The Mulching Process Allows The Grass Clippings To Breakdown Into The Turfgrass Utilizing The Natural Nutrients Of The Turfgrass Itself As A Fertilizer. After Each Mowing, Our Professionals Will Blow Clear All Landscaping Debris From Walkways And Driveways. With CAM Solutions As The Lawn Maintenance Company In Charge Of Your Commercial Property, We Can Assure That Your Irrigation System Will Be Set To Water At The Correct Time Of Day And For The Best Length Of Time For The Health And Maintenance Of Your Turfgrass While Also Avoiding Watering During Peak Consumption Hours. We Will Constantly Watch For Signs Of Changes Needed To Avoid Underwatering Or Overwatering Of Your Property. Our Professionals Will Always Follow Best Practices When It Comes To The Care Of Your Property’s Turfgrass.